A District Level workshop on Measles-Rubella (MR) Elimination Campaign was held on 8th October 2018 at Hamdard Institute of Medical Science & Research (HIMSR) from 9:00 A.M to 5 P.M. The workshop was organized by the o/o the CDMO-South East District, Delhi in collaboration with the Dept. 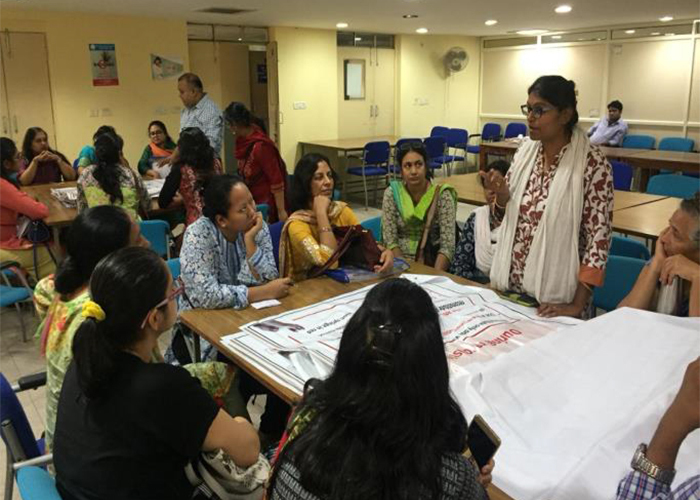 of Community Medicine, HIMSR and WHO-Immunization Division, New Delhi. 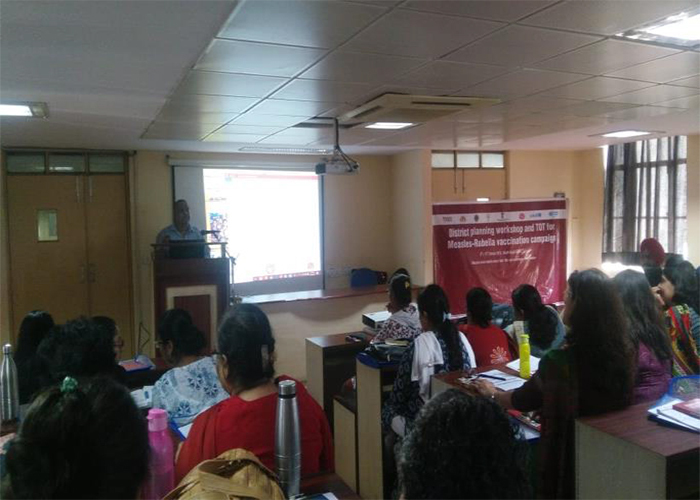 The workshop was held as a part of Measles-Rubella (MR) Elimination Campaign, which was initiated by Ministry of Health & Family Welfare, Government of India (GOI) to eliminate measles and control rubella/congenital rubella syndrome (CRS) by 2020. The campaign aims to cover approximately 41 crore children in the age group of 9 months to less than 15 years in a phased manner across the nation. The MR campaign will start in state of Delhi from January 2019. The workshop was inaurgated with lamp lighting by SDM Defence Colony, Mr Neeraj Kumar, SDM Duda, Mr Abhnit Sapra, CDMO South East district, Dr Geeta along with Dean HIMSR, Prof S.S Anand & Head, Dept. of Community Medicine Prof Rambha Pathak. The workshop started with welcome speech by Dean HIMSR, Prof S.S Anand. 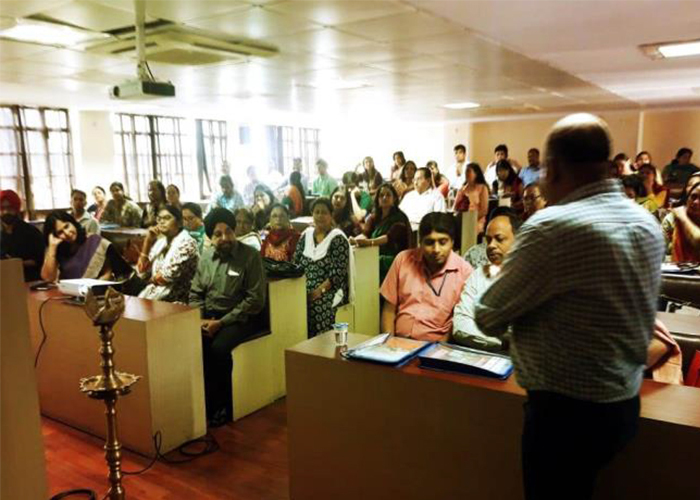 The workshop was attended by the medical officers of various PHCs and Dispensaries from all over the South-East District, Delhi along with the faculties of the Dept. of Community Medicine and Paediatrics, HIMSR. 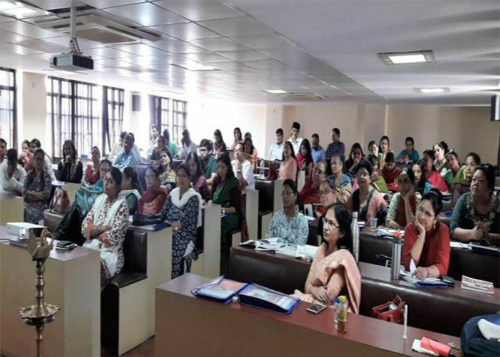 Altogether, a total of 65 participants attended the workshop. The technical sessions were taken by Dr Vijaya, SMO,WHO and Dr Pareejat Saurabh, DIO South East district, & Dr Reena from the o/o Directorate of Family Welfare, New Delhi. It started with sessions on overview of MR campaign, its strategies, objectives and methodology, operational framework, micro planning, roles and responsibilities of various departments and so on. Emphasis was given on AEFI management, social mobilization, communication planning and monitoring of the campaign. The workshop ended with a valedictory note by Prof. Rambha Pathak.